Cricket fans all over the world are eagerly waiting for 2015 ICC Cricket World Cup. Excitement is reaching its peak with every single passing day. All eyes are now set on 14th February, when the first match of 11th Cricket World Cup will be played. Another thing that makes this world cup more special is its hosts – Australia and New Zealand, well-known for their fast balling tracks. 1. 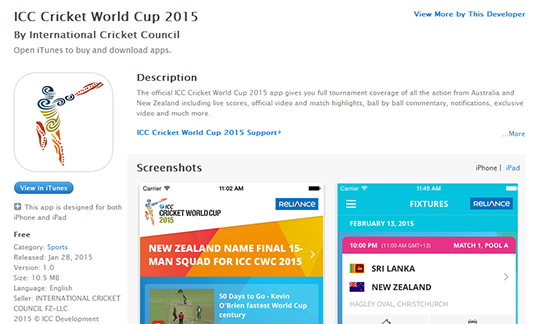 The official ICC Cricket World Cup 2015 app – This doesn’t needs any introduction as it is the official app launched by ICC especially designed for world cup 2015 live streaming. Download links for Android and iPhone/iPad users. 2. Yahoo! 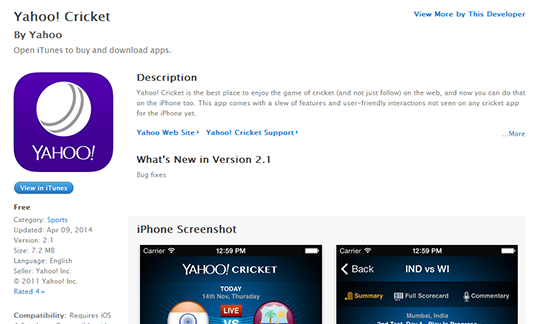 Cricket app – This official Yahoo! cricket app also offers excellent ball by ball analyses for cricket lovers. 3. 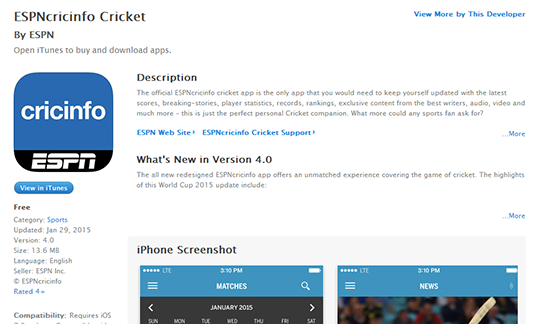 The ESPNcricinfo Cricket App – This is one of the most preferred mobile app for live cricket streaming. Download link for Android and iPhone/iPad users. 4. Cricbuzz Cricket Scores & News – Download the Cricbuzz Cricket Scores & News app for free, and enjoy LIVE action of cricket world cup 2015. We hope these smartphone apps will help our reader in catching every single glimpse of this glorified cricket tournament without any interruption. At TechAhead, we strive to bring the best of mobile technologies that can make human lives much easier and joyful. For latest updates and news from mobile technology industry, stay tuned to our official blog.